The Mountain Lakes Alumni Association is a non-profit organization whose purpose is to foster, maintain and support a mutually beneficial relationship between alumni and the Mountain Lakes High School. 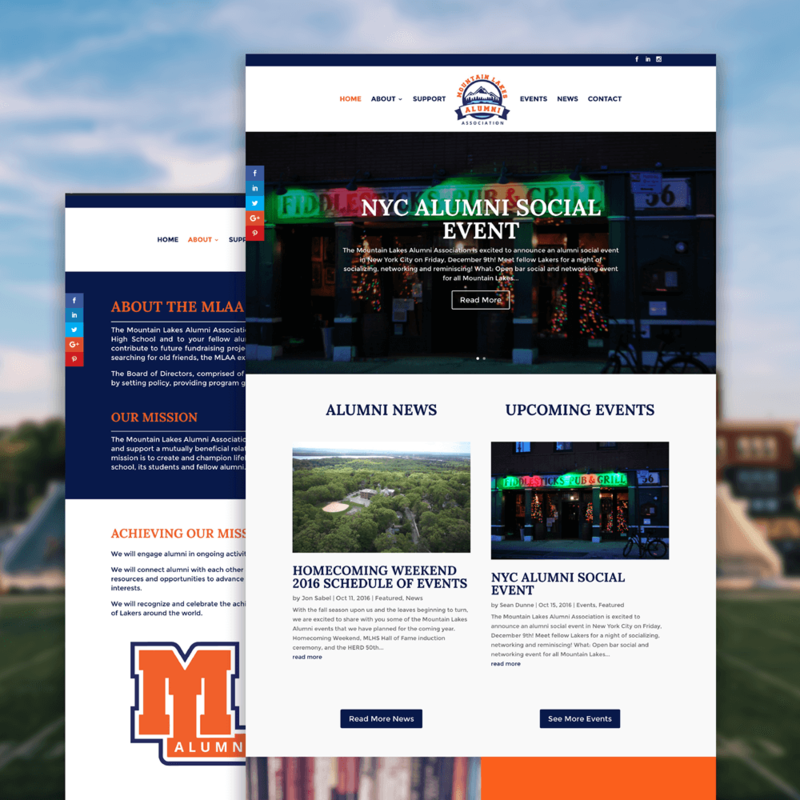 The MLAA asked Terminus Agency to help them design and develop a website to distribute event information as well as create a new association logo and brand identity. The Terminus Agency team assisted the MLAA staff with creating accounts, completing profiles, and updating social media profiles on Facebook, Instagram, and LinkedIn.